When you move to a new state, there are a variety of things that you will need to do in order to become completely settled. One such task is going to the DMV to register your vehicle and receive a new driver’s license. Most states require you to get a new driver’s license and register your vehicle within 90 days of becoming a resident. Because the DMV has the stigma of long lines and rude service, many people wait until the very last minute to register their vehicle and get a new driver’s license. Going to the DMV can cause a lot of stress and easily become a whole-day affair, but by following the tips listed below, you will be able to walk into the DMV feeling confident and prepared. When you go to register your vehicle and receive your new driver’s license, the DMV will need to see a variety of different documents to ensure that you are who you say you are and that you are a resident of your new state. Typically, the documents needed to obtain a new driver’s license include your birth certificate or passport, your social security number, and two pieces of mail with your new address listed. In addition to the proper documents needed for your new license, you will also need to bring the necessary documents to register your vehicle, such as the title, proof of identity, insurance, and more. You may feel overwhelmed by the amount of documentation you will need to obtain a new license and register your vehicle. However, if you want to make your trip to the DMV as easy and stress-free as possible, the best thing you can do is collect your documents ahead of time and sort them accordingly. Not only will doing so help you feel confident that you have everything you need, but there is a good chance that it will also help you move through the process quickly once you arrive. Some states require you to provide proof of an emissions test and a VIN verification when you go to register your vehicle in a new state. These rules vary from state to state, but if these tests are required for your new state, then it’s important that you schedule them in advance and plan ahead. The last thing you want is to be scrambling at the last minute trying to make an appointment or waiting in a long line to have your emissions tested. If you have the option to make an appointment, schedule a time that is convenient for you so that you can get it out of the way. On the other hand, if you don’t have the choice to make an appointment, plan accordingly and make sure that you have plenty of time so you’re not rushing to get the job done. In some cases, it may not make sense for you to obtain a new driver’s license and register your vehicle in one day. Taking care of both tasks in one trip will help to get it out of the way, but you may end up spending a lot of time waiting around. 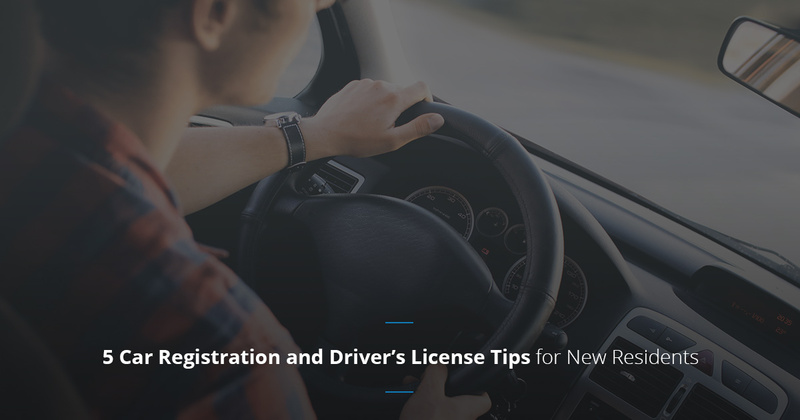 If you’re tight on time, it might make more logical sense to get your license and your registration done on two separate days, especially if you need to get your license before you complete your registration. Nobody likes dealing with insurance agencies, and when you move to a new state, the process can be even more time-consuming. One of the requirements to register your vehicle in a new state is to show proof of car insurance for that state. Taking that into consideration, you will need to schedule time to research insurance agencies and meet with an agent in your area. Once you meet with an agent, it may take some time before you decide on a new policy, sign the papers, and transfer your coverage. This process can take a long time, so it’s vitally important that you don’t wait until your 90 days are almost up to meet with an insurance agent. The best way to feel completely prepared before you go to the DMV is to do your research. Different states have different requirements for acquiring a new driver’s license and registering a vehicle, and you will most likely be able to find those requirements if you go online and research the process for your new state. By performing this research either before or shortly after you move to a new state, you will be able to plan ahead, gather the documents, and walk into the DMV will complete confidence that you have everything needed to get the job done. If you’re new to New Mexico and you’re in the process of figuring out what you need to bring to the MVD, then MVD Express is here to help. Unlike other MVDs in New Mexico, our focus is making your experience with us as pleasant and convenient as possible. We understand that most people don’t have the time to spend hours waiting in line at the MVD, which is why we give you the option to schedule an appointment at a time that will be convenient for you. Whether you need to register your vehicle, obtain your New Mexico driver’s license, or another MVD service, MVD Express is here to help! Give us a call or visit us online to schedule an appointment today!